The UTEP Young Alumni Network is UTEP's premiere young alumni networking group, designed for recent grads who are looking to meet new people and strengthen the Miner Nation. The main purpose of our organization is to assist each other in a professional setting by building lasting relationships and sharing resources with fellow Miners whenever possible. Lastly, we keep you in touch with all of the interesting things going on in and around UTEP. 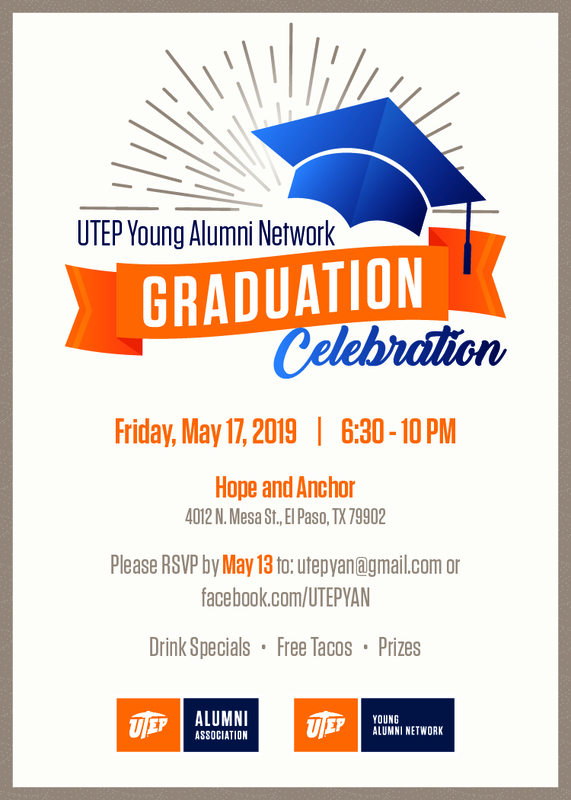 Consider the UTEP Young Alumni Network as your hub for everything that interests recent graduates! If you would like to receive text alerts from us, please text utepyan to 84483. If you are interested in joining the Young Alumni Network or would like us to contact you to provide more information, please provide the following information.